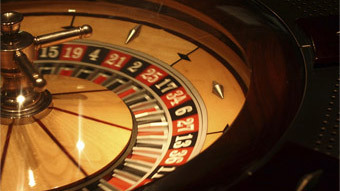 We bring the casino experience to you! Upstate Vegas Events is the absolute best form of casino gaming entertainment outside of Las Vegas. Serving the Buffalo, Rochester and Syracuse areas of Western New York, we bring the total Vegas experience to you for all occasions. Upstate Vegas has over 80 of the highest quality gaming tables available and professional dealers for each game that can teach and entertain all your guests with poker, blackjack, craps, roulette, and much more. Bring the excitement of Las Vegas to your business. 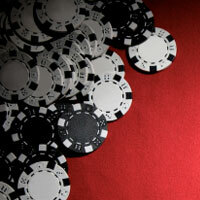 Casino theme parties are a great alternative for employee recognitions and celebrations. In addition, casino gaming can provide for a fun-filled team building program and is great for client appreciations or for those "Meet and Greet" occasions. has many ideas to help your organization raise money in ways that are fun and profitable. A casino theme is a great alternative for all kinds of parties including an Anniversary, Bachelor, Birthday, Class Reunion, Graduation, Family Reunion, New Years and Weddings. Upstate Vegas has done them all! 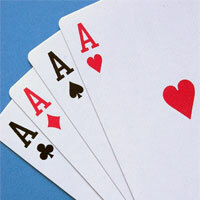 We specialize in hosting casino events. Did you enjoy your event? The Golisano Children’s Hospital Fundraiser was a success! Wow - Everyone LOVED the casino night! Your casino event ROCKED! Thank you so much! Thank you for making our wedding reception so special . . . I wanted to tell you that we enjoyed ourselves so much. The employees were talking about it all day yesterday. Thank you so much, Everyone had a GREAT TIME !!!!! It was just a blast. Everyone is still talking about the party of the year!! Everyone had a terrific time - even people who said that they "don't gamble". It truly made our first ever event a huge success. Can't thank you enough! Thanks for another great Vegas Night! Our most successful one to date. I wanted to say thank you once again for making Saturday so much fun. Everyone raved about your team and how much fun everyone of you made the night. Thank you for a wonderful evening! I will definitely recommend you for any upcoming events. Your crew was a hit on Tuesday evening. The time went by way too fast! Great reviews from the party! My people had a great time. The casino night was a huge success and we have received many compliments. I am writing on behalf of our entire staff to thank you and your staff for providing the exceptional and exciting entertainment . . . Thank you for a great evening! Friday night was the most successful Chamber event in a long time. Our deepest thanks for all your help in making our annual athletic formal a HUGE success. As always, your staff was professional and fun to work with, our attendees had a great time! Everyone had a great time! Thank you for all your effort. Thank you for a VERY successful Monte Carlo night! Your whole group was amazing. It was a blast! Having Upstate for our Christmas party was better than we could have expected. Rick Lemcke, R.M. Landscape Inc. Thank you again for providing such great entertainment and fun for the kids last night! Thank you for helping to make Pablo's "Beer & Diaper" event so much fun for all guests. Thank you so much for helping to make our staff Christmas party a success! Thank you very much for helping to make our Moonshadow's Spirit Fundraising Dinner a complete success! Sharon Mathiason, president of Moonshadow's Spirit, Inc. Cannot thank you enough for yesterday. The TEAM appreciated everything you did. On behalf of all of the HR Works' employees we'd like tosay THANK YOU SO MUCH for such a great event. Your staff was fantastic as usual. Thank you so much for a wonderful evening!!!! Thanks again for such a great night!